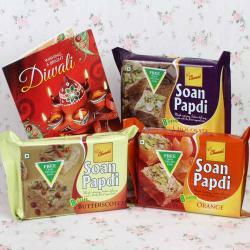 Product Consists: Orange Soan Papdi (weight : 200 gms),Cashew Nut (Weight:150 gms) in a bottle, 3 Bars of Dairy milk (weight : 13 gms each),Pair of Traditional Rudraksha Diyas along with Diwali Greeting Card. 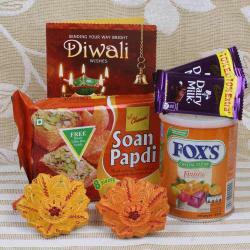 Wish you happy Diwali with Exclusive Diwali gifts. 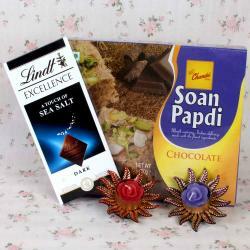 We have presenting to you the premium collection of Diwali Gifts Hampers for make surprised to your love ones, family, friends, relatives, colleagues and clients on auspicious occasion of Diwali. 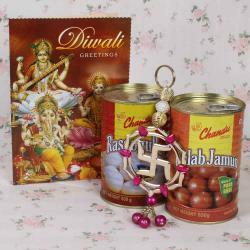 Awesome and unique Diwali gifts will makes your dear and near ones happy and feels special on Festival of Light. 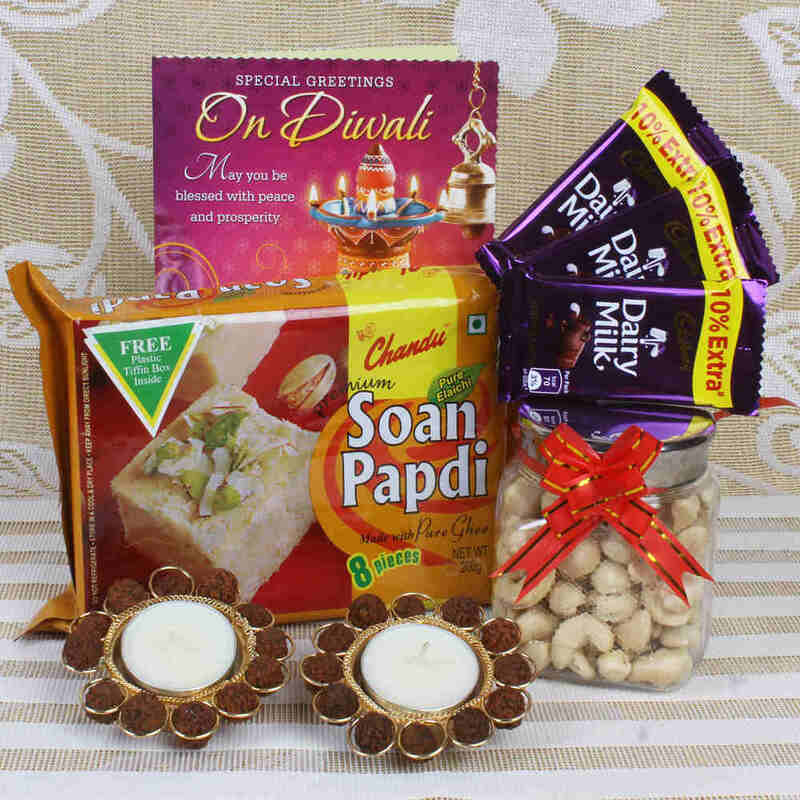 This Gift Hamper Includes: Orange Soan Papdi (weight : 200 gms),Cashew Nut (Weight:150 gms) in a bottle, 3 Bars of Dairy milk (weight : 13 gms each),Pair of Traditional Rudraksha Diyas along with Diwali Greeting Card.